← Bashir to Visit China, US endorses it: But What Does it Mean? 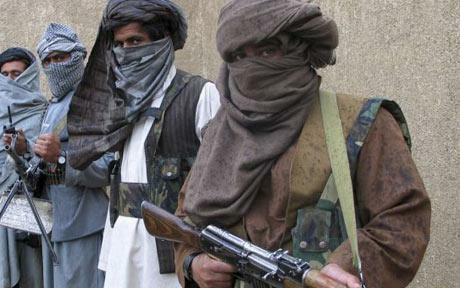 This week’s news that the US is negotiating with the Taliban in Afghanistan may have come as a shock to some. It has, however, been part of a long and heated conversation about how to resolve the seemingly unwinnable war in Afghanistan (see here for a diverse set of opinions). The decision of whether to deal with the Taliban is also a paradigmatic case in the debate about whether we can negotiate with some of history’s most abhorrent perpetrators. Why write about the US negotiating with the Taliban on a blog dedicated to issues of justice in conflict? The Obama administration’s decision to begin talks with the Taliban is a paradigmatic case reflecting the cross-roads at which we find ourselves: Who is a legitimate negotiating partner? Does principle trump pragmatism when it comes to negotiating with perpetrators of mass violence? Does morality come before politics? These questions are central to all contexts in which justice is pursued in active conflict as well as in post-conflict situations. Orthodox thinking on conflict resolution, most famously put forward by Roger Fisher and William Ury, suggests that everything is negotiable. There is no issue, scenario, or object that is beyond negotiation. 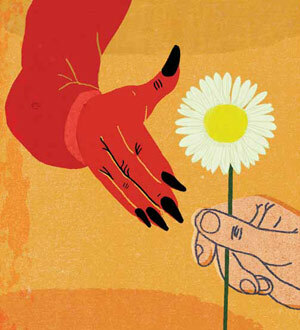 In this view, everyone is a potential negotiating partner, no matter how ‘evil’. In violent political conflicts, even the most brutal and aggressive leaders may be necessary partners in peace negotiations. Indeed, if they aren’t included in the peace processes, such actors can become destructive ‘peace spoilers’ who seek to undermine any potential for the successful implementation of a peace agreement. In this sense, negotiations are meant to moderate violence and transform violent conflict. If potential parties to peace in a war remain isolated and outside of the peace process, they have no incentive but to continue fighting – either for their own survival or in order to nudge their way into the peace process. Thus, the theory goes, such individuals must be negotiated with even if that means that they receive amnesty for crimes they have committed, and may require that they get a share of the material and political resources of a society through a power-sharing agreements. As I have argued previously, this has been the norm for much of contemporary history. Some of history’s worst leaders have been granted cushy retirement in exchange for their removal from positions of power. Recently, this angle on negotiations has come under sustained attack. The human rights movement has been pivotal in the attempt to undermine the orthdoxy of everything being negotiable. Instrumentalizing powerful labels such as “genocidal”, “evil” and “like Hitler”, the international human rights movement, and its international criminal justice wing in particular, has declared that there are some people who simply cannot be negotiated with; they are too “genocidal”, “evil” and “like Hitler”. There are important drawbacks to negotiating with particularly vile adversaries. Bargaining with them risks rewarding and legitimizing their violence. If they had not been so successful in committing violence, they wouldn’t be in a position to negotiate. More commonly, it is seen as morally abhorrent: it is unjust to negotiate with individuals who commit atrocities against civilians and even more wrong to grant them amnesties or positions of power. When pressed for evidence, advocates of this perspective will often argue that even if we negotiate with immoral partners, it does not eliminate their potential to spoil peace from the inside. How can a party, never interested in peace before, be considered a true partner in a peace process? Further, proponents of this view reject the premise that achieving peace with brutal adversaries amounts to ‘success’. A peace that is successful, they argue, must both guarantee stability and order as well as justice. The success of this approach, however, remains questionable. The border-line messianic quest to guarantee that peace and justice are sought together remains, at best, an aspiration given current practice. Amnesties continue to be granted in peace agreements, especially where international attention is low, and power-sharing agreements are seemingly as common today as before. Somewhere in between these two positions is a view which, predictably, dictates that it is sometimes but not always a good idea to negotiate with ‘evil’. Most recently, Robert Mnookin’s book, Bargaining with the Devil – When to Negotiate, When to Fight, takes up this position. Mnookin points out that while historical figures such as Winston Churchill refused to negotiate with the Nazis, others – his personal favourite being Nelson Mandela – decided to bargain with the authors and perpetrators of Apartheid. While sympathetic to attempts to achieve justice and resolve conflict simultaneously, Mnookin says that, as a self-labeled pragmatist, he believes justice must be balanced against other concerns. Notably, Mnookin supported the initial US position against negotiating with the Taliban, while Fisher, unsurprisingly, argued in support of it. It is within this wider debate that the question of negotiating with unsavoury actors derives its pertinence for transitional justice. The decision of the US to engage in ‘brotherly’ talks with the Taliban will be judged on two levels: a moral plane and a consequential plane. This has always been a fundamental difference between the two contrasting approaches above. The orthodox view suggests that as long as the consequences of negotiating with extremists are good (achieving peace), engaging with them is justified. The contrary perspective suggests the opposite: there is something fundamentally wrong and illegitimate about negotiating with extremists. Regardless of whether such negotiations are ‘successful’, they will forever be tainted by injustice. In sharp contrast, the Obama administration prides itself for what it views as its own shade of political pragmatism. Remember, one of the most pragmatic and successful negotiators, Richard Holbrooke, was appointed as Obama’s Special Envoy for AfPak. Holbrooke is famous for his role in brokering the Dayton Peace Accords, during which he sought the continuation of the NATO bombing of Serb-controlled Bosnia because of its utility as a bargaining chip in negotiating peace. It is worth wondering whether the decision by the US to negotiate with the Taliban is part of a larger shift in the attitudes of the American administration towards engaging with extremists rather than isolating them. The Obama administration has been happy to negotiate, for example, with Sudan’s Omar al-Bashir over peace in Southern Sudan and Darfur, despite Bashir being indicted by the ICC. This may be one of the “lessons learned” by analysts in Washington who have the ear of the administration: not negotiating with the Taliban hasn’t been a particularly successful approach to peace in Afghanistan; we should give it a whirl. For those of us interested in international criminal justice, but who are on the outside of the halls of power looking in, the debate about who is a legitimate partner for negotiations is essential. The contradictions, synergies and tensions between conflict resolution and justice remain more murky than clear. Many have come to the rigid conclusion that there is either “no peace without justice” or “peace must come before justice”. Both of these positions misunderstand the difference between achieving peace and dreaming it up. Rarely does either side consider what kind of peace is possible in particular situations, preferring to assume that their imagined peace is feasible, possible and desired across contexts. Realistically, we aren’t about to resolve the debate about whether principles should trump pragmatism or vice versa. But if our shared and ultimate goal is to help societies ravaged by violence and atrocities to establish some type of peace, we better keep thinking about it. 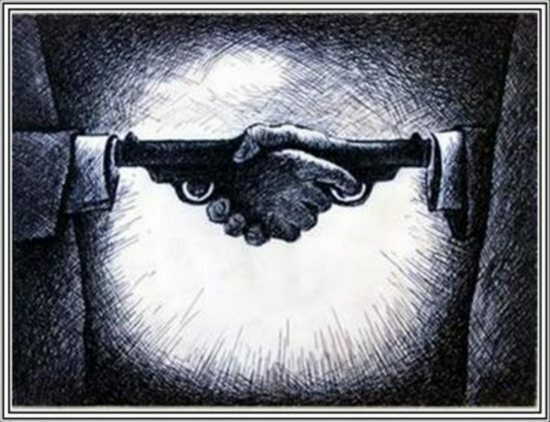 This entry was posted in Afghanistan, Human Rights, Justice, Pakistan, Peace Negotiations, Taliban, United States. Bookmark the permalink. 2 Responses to US Negotiating with the Taliban: Bargaining with the Devil? Call this human rights, buddies!